Newton Aycliffe gained a deserved point with a 1-1 draw at Consett at the weekend. Aycliffe started brightly, with Coombe in the Consett goal making good saves from Craig Hutchinson and Kurt Matthews. Sixth-placed Consett, with a strong wind behind them, settled into the game, and went ahead when a low shot from Dowson deceived keeper Jack McLaren for 1-0. Consett then rattled the bar from a free-kick. Aycliffe kept going and were rewarded when Matthews ran onto a pass from Jamie Davis and fired a strong shot low into corner of the Consett net. 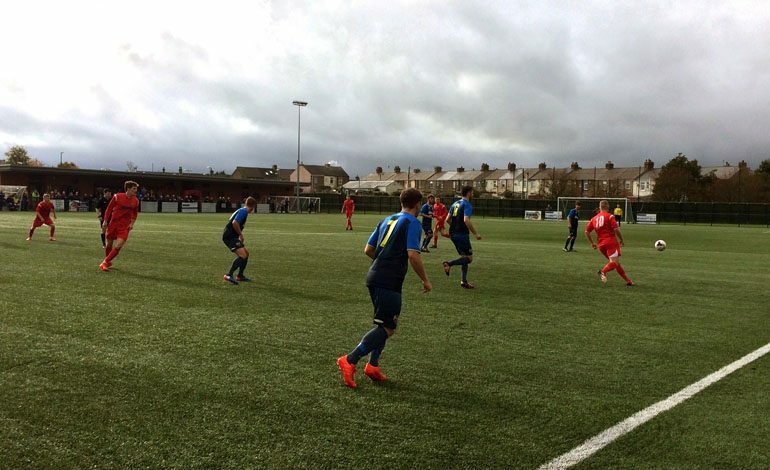 Aycliffe were unlucky in that the wind died down for the second half, which went in to be an even-sided affair. The two sides worked hard to create goalscoring opportunities, but without any real success. McLaren pulled off a good save with 25 minutes to go, but in the end a draw was the fair result. The Newtonians, sitting 17th in the Ebac Northern League first division, go to Penrith in league action this Saturday, followed by a home tie with Consett in the first round of the Durham Challenge Cup at Moore Lane Park next Tuesday night.